Have you heard of account-based marketing (ABM) before? (It’s also known as key account marketing) Whether those are familiar letters or sound like a foreign language, ABM is simple. These are the basics: instead of a one-to-many marketing approach, it’s a one-to-one approach. Account-based marketing makes strategic goals for specific target accounts in B2B marketing. Maximize your return on investment (ROI) and value from your marketing campaigns. Let me guess - you have done at least one of those things? Awesome! Now let’s take it to a new level of importance. If your past or present marketing campaigns are appealing to the masses, that’s okay. But directly targeting individuals with incredibly relevant content is even better. Inbound marketing has taught us that individuals respond to different pieces of content differently depending on two things: their buyer persona, and what stage of the decision-making journey they are in. Let’s capitalize on this wealth of knowledge even more. ABM targets the decision-makers within only one company (or account). It uses coordinated mass sales and marketing tactics to that one company for the specific message. You’re probably thinking, “Wow, that’s a lot of extra work.” Nope! It can still be automated if you have the appropriate data for the specific individuals. It also helps to have a method of communication for the data between your sales and marketing teams. However, using ABM with the right individuals in these accounts is different than your typical mass marketing tactics. It focuses on a handful of large, important accounts, or accounts that have the highest potential. High-touch and highly specific messages are critical because their revenue potential and impact on your sales and marketing is huge. 1. ABM uses personalized marketing communications. If you’re like me, I usually click “delete” after I read, “Dear potential customer,” because if someone wants to gain (or keep) my business, I assume that they at least know my name. Maybe that’s stiff, but here’s my point: personalized marketing strategies are better at engaging customers. ABM says goodbye to generic tactics and integrates personalization. It develops useful and helpful content directed at key decision-makers to move them through the buyer’s journey. Such finely-tuned content requires research, which those key decision-makers will instantly notice. (Can’t you hear them saying, “Wow. They did their research. 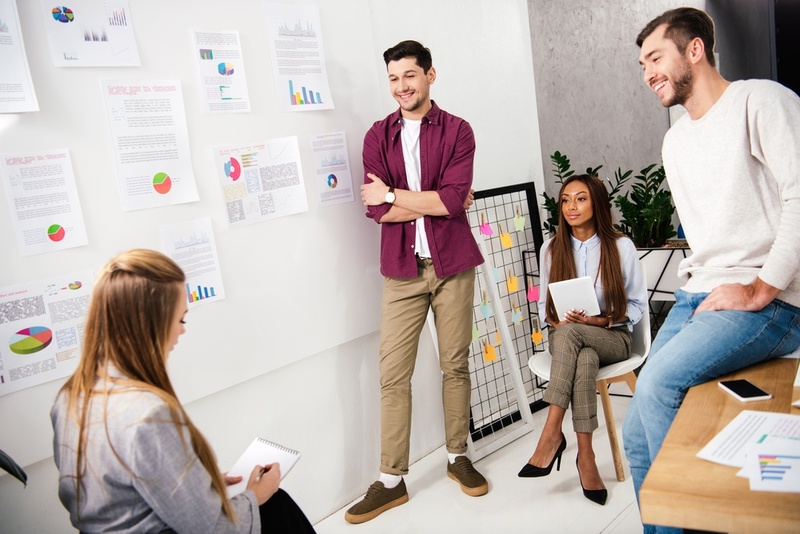 That’s helpful content!”) It also requires that your marketing and sales teams efficiently and effectively target these contacts with a collaborative effort. 2. ABM uses marketing resources efficiently. Unless you’re new to the field, you’ve seen how marketing is constantly pulled in different directions. ABM helps you structure your marketing resources and efforts on your key accounts to produce the most revenue. By focusing on such a narrow area, you can optimize your most valuable resources: time and money! Plus, let’s face it, time and money are hot commodities in any industry! 3. ABM has a defined ROI. Marketing strategies should be S.M.A.R.T. ; in particular, they should be measurable. The same principles apply to account-based marketing. Research states that 84% of businesses say that ABM delivers a higher return on investment (ROI) that other types of marketing. With ABM, you will be able to see a higher ROI and notice immediate areas open for improvement based on how your contacts respond to the content. It’s crucial that your team measures ROI on your marketing initiatives! Don’t freak out if math isn’t your strength; there are loads of automation and software tools that can do this for you. 4. ABM offers better tracking. We just established that ROI is critical, but it’s not the only aspect to report. Consider the tactics that do (or don’t) contribute to it. Review the effectiveness of each tactic to build more effective campaigns in the future. Remember those software tools we mentioned that could help you measure ROI? Other platforms can track your campaign around the clock, providing you with real-time data, which means you can make changes to your campaign on an ongoing basis, saving you time and money. Win! 5. ABM aligns your sales and marketing teams. Let’s be honest...how many times have you seen your sales and marketing teams function like individual islands? Compare that with how many times you have seen them work together as allies. If you are going to implement an account-based marketing strategy, then your sales and marketing teams need to work closely together. According to a Bizible survey, “marketers doing ABM are about 40% more likely to report alignment with their sales team compared to marketers not doing ABM.” You will be amazed how ABM forces your teams to unite, not divide, to work together instead of separately. As one unit, they should identify target accounts, develop a communication strategy, create outreach tactics, and monitor the campaign's progress. Want to jump into ABM? 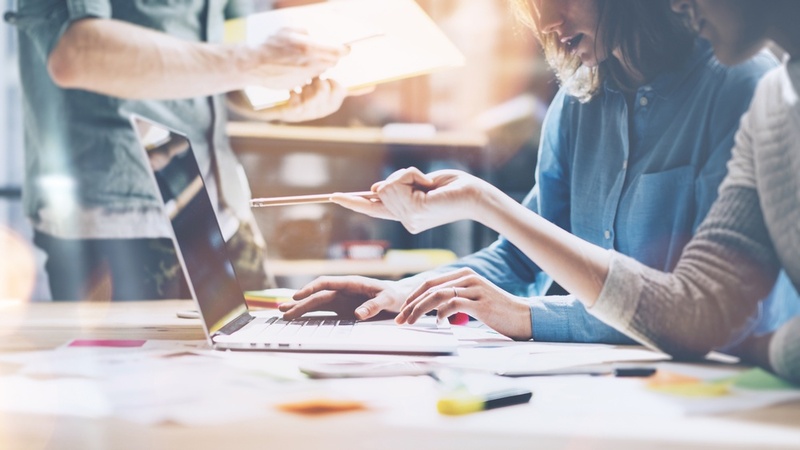 Account-based marketing is a proven way for B2B marketers and sales to work together as they create personalized campaigns for specific accounts to drive revenue. Recognize that this strategy isn’t supposed to replace your mass marketing initiatives that increase awareness or traffic. It’s simply the next step for your organization toward ROI and measurable sales results.